This story has been updated. Find our updated story here. 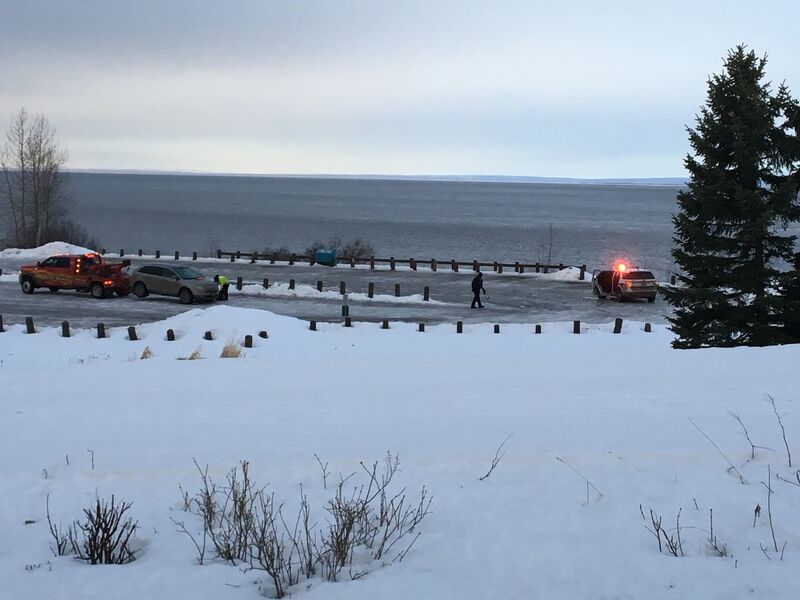 A 3-year-old girl was found stabbed to death inside an SUV early Wednesday morning in the parking lot at Point Woronzof, alongside a family member who had self-inflicted injuries, Anchorage police said in an alert. Anchorage police spokesman MJ Thim said the woman and girl are related, though police haven’t yet determined what their relationship to each other is. The stabbing is considered a domestic violence incident, and detectives are not looking for any suspects, he said. “This is a very tragic situation and has impacted many people,” Thim said. Police are waiting for the child’s family to be notified before they release her name, Thim said. Airport police discovered the SUV during a routine patrol around 5:30 a.m., when the Point Woronzof park is supposed to be closed, airport police chief Jesse Davis said. Officers called for medics and attempted to resuscitate the child before calling the Anchorage Police Department around 6:30 a.m. Neither police agency had information on whether the woman was conscious or cognizant when she was found. Investigators are still working to determine when the girl died and how she and the woman ended up in the Point Woronzof parking lot, Thim said. Davis said he isn’t aware of any surveillance cameras monitoring the parking lot. In January 2016, a 19-year-old woman was found shot to death on the beach below the Point Woronzof parking lot, and a 20-year-old man was found with a gunshot wound that later killed him. A suspect was arrested in their killings the following year. Correction: Anchorage police initially reported that the girl was 4 years old. A police spokesman on Wednesday said she was 3.